June 20th 2018 marks World Refugee Day. Refugee Utility Project welcomes you to celebrate and commemorate this important day with us. Violence, on a global level, destroys homes and threatens the lives of thousands of families on a daily basis. By standing together to support the survivors of these harrowing events, we can show refugees all over the world that there are people who care about them and their circumstances. You can demonstrate your support on June 20th by spreading awareness about the day. Simply take to Twitter with the #WithRefugees hashtag to help spread the message. You can also sign the World Refugees Petition here, and pledge as much as you like to aid their desperate situation. It's important to not only support refugees, but also to pay tribute to the strength and courage these people – and the aid workers who assist them – demonstrate in their struggle each day. "This not about sharing a burden. It is about sharing a global responsibility, based not only the broad idea of our common humanity but also on the very specific obligations of international law. The root problems are war and hatred, not people who flee; refugees are among the first victims of terrorism." ​Refugee Utility Project welcomes you to celebrate Non-violence day this October 2nd. It’s no coincidence that October 2nd is also Mahatma Gandhi’s birthday, the man who was responsible for the Indian Independence Movement and an international figure of peace to all. International Non-Violence day is an occasion that aims to spread the message of non-violence through public awareness and education. 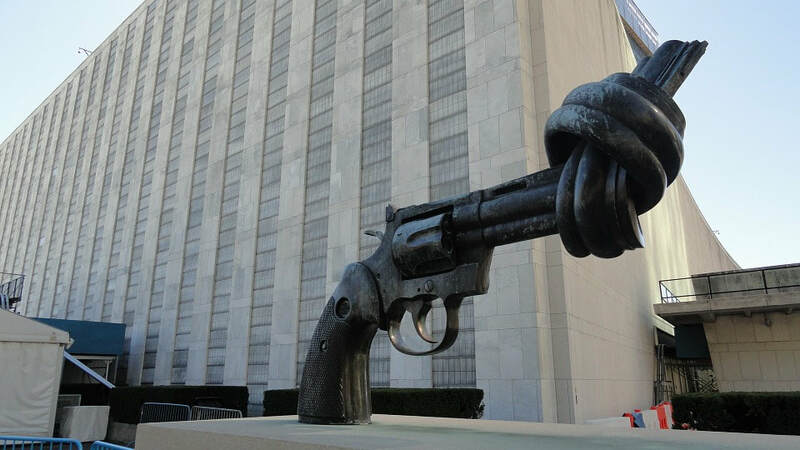 The United Nations established the first Non-Violence day in 2007 and on this day recognises the philosophical connection between human rights and principles used by Gandhi himself. The peaceful leader taught the philosophy of Ahimsa, which encourages the use of non-violence as tool for peaceful resolution when faced with injustice, rather than outrage or aggression. His teachings, and the true spirit of Non-violence day, are best embodied in his famous quote: "Non-violence is the greatest force at the disposal of mankind. It is mightier than the mightiest weapon of destruction devised by the ingenuity of man". At RUP we believe wholeheartedly in these principles, and use them to continue to drive our own aid and relief work for the downtrodden refugees of Syria. We implore you to take time out to make someone aware of Non-Violence day this year, and to help spread the beautiful message of harmony synonymous with the man who influenced the day. 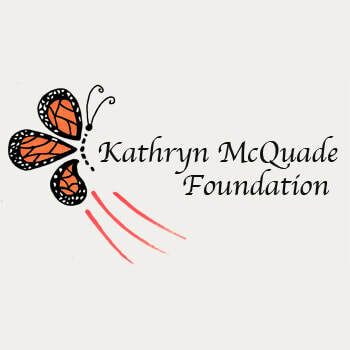 Refugee Utility Project is proud to announce that we will be receiving our first major grant from the Kathryn McQuade foundation. The foundation was formed in December of 2013 by the eponymous Kathryn McQuade, who after 33 years of business community work, retired to establish the organisation. Since then, the Kathryn McQuade foundation has strived to achieve its mission: To make sustainable improvements in women and children’s rights, education, and welfare. RUP is honoured to have been accepted for a grant, and will now aim to take our own mission to the next level in building a brighter future for the refugees of Syria in Jordan. The grant will mean big changes for RUP, allowing us to open a community centre in Zarqa. Not only this, but we are now in a position to re-allocate resources and staff in order to maximise our effectiveness; not only in our headquarters in the US but around the world. The community centre will be located in the city of Al-Zarqa, part of the Zarqa Governorate in Jordan. It is our hope that from this base we can provide assistance to the people of the area, be they Jordanian citizens or Syrian refugees. Through the activities and classes provided at the community centre we can offer these disenfranchised people the opportunity to acquire new skills and experience, which they can use to better their own lives. By being ‘on the ground’, we can also identify what the local issues are in the community and address them accordingly. Literacy for children and women, livelihood skills and constant coaching for sustainable difference are just a few of the services we hope to provide here. This, of course, could not have been achieved without the help of you, our supporters. Be it from simply reading our articles/newsletters or from providing much-needed donations to our cause, Refugee Utility Project has been able to grow enough to be recognised for funding. And for this, you have our complete appreciation. Traditionally, organizations in the Middle East focus on clothing and food distribution during Ramadan. We decided that in addition to the food and clothing operations, we would try to work on sustainable development, too. Our friend Georg from Innovation Aid agreed to partner with us in hosting a workshop for Syrian refugees in an informal tented settlement in Mafraq, where we taught them (while learning ourselves) how to create air conditioning systems without the need for electricity out of used plastic bottles and wooden boards. Since we did this during the day, it was extremely hot and windy - but after four hours of work, we finished our first ever joint workshop! Hopefully the air conditioner will help cool down the fasting inhabitants of the house. We hope to go back and continuing the learning process with Georg and Innovation Aid soon! This Ramadan, a new partner invited us to a community event organized by a group of charitable organizations in Zarqa, Jordan. 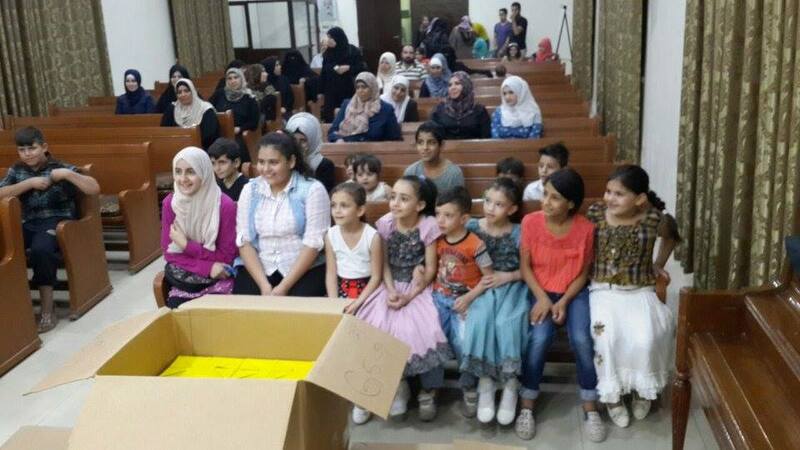 Each year, the organizations come together to provide meals to break the fast with Muslims in Zarqa during Ramadan. This year, we were able to invite some of the refugee families we work with to join the event and break the fast together. It is thanks to such great local initiatives that refugees can feel integrated and supported in their communities, and we are so proud to have been invited this year. We hope to work more closely with these wonderful local groups next year! This Ramadan, Refugee Utility Project were able to support 50 families in Zarqa, Jordan, with a month's supply of food. Have a look through the slideshow to see the results of your donations and the hard work of our volunteers! They spent hours hunting down the best prices and packing up the food for 50 vulnerable refugee families and 5 low-income Jordanian families. Thank you to every one of you who participated in this project. ​From the Refugee Utility Project team. Monday the 22nd of May will be forever marked by the appalling events which led to the deaths of 22 people and the injury of 120 more. As the scene of the attack was a pop concert, most of these casualties were young people or children. As heinous as this was, it is important to remember what fuels fanatic extremism: Fear and hatred. Attacks like the one in Manchester are designed to terrorise and kill, but also serve to breed hatred in our minds and hearts; specifically, and undeservedly towards Islam. Groups like ISIS are fully aware of this, as disenfranchised Muslim youths are key targets for recruitment and radicalisation. The social backlash, at times physical and violent, against Muslim communities in the wake of attacks is unfortunately not unheard of. Dr Naveed Yasin, an NHS surgeon, worked round the clock for a total of 48 hours in an effort to save the victims of the Manchester arena blast. While travelling to work after a rest between the strenuous shift, he was racially abused on the street, having racial slurs yelled at him and being called a terrorist. All based on the colour of his skin alone. Furthermore, an important political election is to take place on the coming months in the UK, with immigration and border control some of just a few key topics to be addressed in party manifestos. It is my fear that people will allow their vote to be tainted by the anger and hatred that follows after such a cowardly attack like the one in Manchester. It is important that we not allow ourselves to the depths of our own loathing and rage. The attack was carried out by an extremist group, who do not speak for the peaceful faith of Islam. There are still thousands of refugees who are still in peril in Syria and its neighbouring territories. People who have themselves experienced similar travesties like the one in Manchester at the hands of extremists; losing children, brothers and sisters, friends. Another doctor who worked tirelessly to help the victims of the Manchester attack, one Mounir Hakimi – a national of Syria himself, would go on to compare the wounds he treated in Manchester to those of refugee’s wounded in the Syria civil war. Like us, refugees in Syria are caught in the violence of extremism. Extremists are counting on western cultures, especially Europe, to close their borders and shun refugees out of fear. We must endeavour to rise above hate and continue to help each other. May 14th to the 20th marks National Women’s Health week, an American campaign led by the US Department of Health and Human Serviced – Office on Women’s Health, which is designed to raise understanding for women of all ages on how to attain a better quality of life. The campaign informs women of a few simple life style changes and reasonable goals to aid them in becoming healthier and more active. On the other side of the world, the Syrian Civil war drags on through its sixth year with the Refugee Crisis in tow. Women of this country, be they displaced or not, face a series of health issues. Leading a healthy lifestyle is something that could easily be considered a luxury, one that members of more disenfranchised or underprivileged societies such as Syria are not privy to. During Woman’s health week, its vital that we try and raise awareness to women. Period. Many researchers speculate that a mental health crisis is currently in full swing in Syria. A 2015 German study by the German Federal Chamber of Psychotherapists showed that 70 percent of refugee’s spoken to had witnessed violence and 50 percent had been first hand victims (IRIN). Unsurprisingly, emotional and psychiatric issues followed. It’s important that during this challenging time in Syria, and during National women’s health week, that we consider not only the way to improve the physical and emotional health of women here in the west, but also in Syria and other locations rocked by armed turmoil. As part of national volunteer week, Refugee Utility Project would like to thank all of our hard-working volunteers – whose efforts continue to pave the way, not only the maintenance of our site, but for getting involved in a number of our other projects and activities. To anyone who may be considering volunteering with us, our goal is simple: To aid the refugee crisis in Syria and its neighboring territories. We want motivated students with a real passion to do good in the world. The conditions faced by many refugees are no joke, and are often laden with mortal dangers and devastating life-long ramifications. You – whoever or where ever you are – can help these people. You don't have to drop out of school and join the peace corps or hop on the next jet to Syria (If you don't want that is! ); You can help us remotely by raising awareness through the formation of a RUP branch/group in your own university. This is a great opportunity to make a real impact and develop leadership and planning skills. Your actions and opinions will help mold the structure of our organisation, with every idea contributing to our growth – even if you only plan on working with us for a short period of time, the skills and experience will seriously bolster your resume in the job market, especially in roles featuring people management. All we ask In return of any prospective volunteers: To help us spread our word, and give the world understanding about the refugee crisis. If you think you'd be interested in making a real impact on the situation in Syria, and bettering real people's lives, please follow the link below. April 7 is the official World Health Day. This year, the theme is depression. 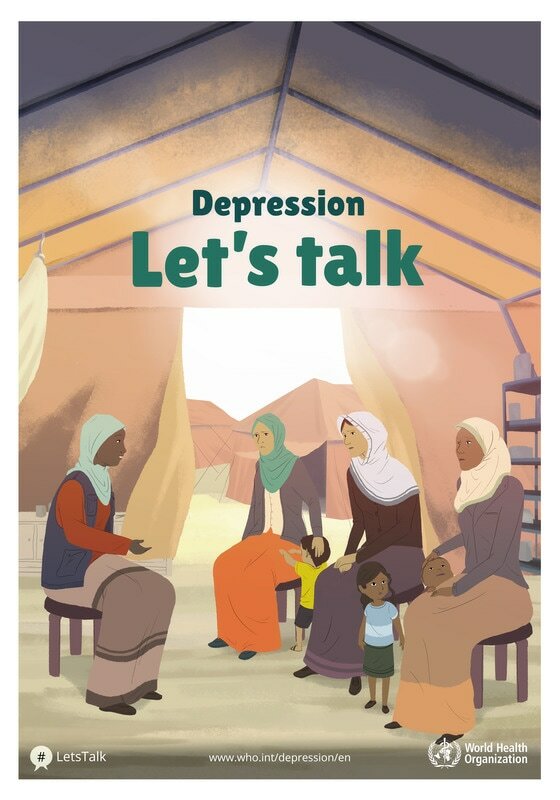 Depression affects us all, regardless of race, religion or any other social or political inclination. It affects every age group, from children to the elderly, and it affects both the strong and the weak. On the Syrian border, over 75,000 refugee's huddle together in desperation, many of them are children. The atrocities people are forced to witness have the potential to leave mental scars which could last a lifetime. The refugees of Syria are facing what could potentially be a mass mental health crisis, one with the potential to damage several generations. Depression, as a western concept, is often tied to very understandable – albeit distressing – ideas: The death of a loved one, failed relationships, a lack of understanding from the people around you. The refugees of Syria face similar oppressions, brought on by much more sinister circumstances; a child watching their parents be killed by a car bomb, or a younger sibling succumb to Cholera or Hepatitis, people being maimed by artillery. World Health Day seeks to shed more light on depression, in order to give breathing room, and hopefully a solution, to anyone suffering from it. We at Refugee Utility Project want to help spread this message while alerting people to the potential mental health crisis in Syria. On a global scale, over 300 million people currently suffer from depression. The absolute worst case scenario of depression can lead to suicide, which is the second leading cause of death in young people under 30. There are many different levels of depression; someone with no history of manic episodes or mental illness can suffer from serve depression – everyone is susceptible to it. Save the children's new report, aptly titled 'Invisible wounds', describes the refugee children of Syria as “Psychologically crushed and tired”, a state of mental welfare no human should have to experience in their youth. The concept of death and our own mortality – something which many of us here in the west are intelligently shielded from at very young ages, until we are mature enough to comprehend it – is aggressively forced upon the refugee children of Syria, with children as young as 12 years old, and probably even younger, witnessing atrocities. Two-thirds of refugee children have lost a loved one, suffered from war-related injury or scarring, or have had their homes due to shelling. These children are growing into adults in the midst of war, the ones who aren't radicalized – children as young as 15 have been sighted carrying assault rifles at checkpoints – suffer from debilitating stress, which leads to episodes easily brought on from foreign sounds, loud noises and so on. Refugee Utility Project seeks to raise awareness for the children of Syria and the impending mental health crisis developing there. Together, we can address this issue and bring an end to the mental health crisis befalling the children of Syria. Schools play a large factor in the state of mental health in children, and by assisting RUP in our goals to provide education to refugee children, you could directly impact the state of refugee children's mental welfare. On February 16th, two members of the Refugee Utility Project team left Jordan to hold a guest lecture at the prestigious University of Cambridge. The presentation was titled 'The Syrian Refugee Crisis: Obstacles to Humanitarian Assistance' and detailed the challenges faced by humanitarian organizations in the Middle East, as well as how we are working to solve them. In the presentation, co-founder Scott Mehan and Head of Communications Emma Tveit highlighted what we see are the biggest challenges to effective aid work with Syrian refugees. The vast majority of refugees in Jordan live outside the major refugee camps, which means that they are harder to locate and face a very different set of challenges than refugees living in camps. Many refugees cite that lack of rights to work, education, and healthcare are the most significant obstacles they face in order to lead dignified lives. The public services in Jordan are under significant strain due to the influx of refugees, and so many turn to illegal work and child labor, which means many children go without education. We have found that in order to reach refugees outside camps, it is important to have a network of local leaders and volunteers. Only through local citizens and refugees can we ever hope to create sustainable solutions. That is why at RUP, we almost exclusively work with people either from the regions we work in, or refugees living in these host communities. In 2017, we hope to establish a community centre in Zarqa city to increase social cohesion to combat the increasing tensions between host communities and refugees. We'd like to thank the University of Cambridge's Save the Children Society and especially Sneha Barai for the invitation to be part of their excellent lecture series on the Syrian refugee crisis. 655,895 Syrian refugees are currently registered in Jordan - that's 10% of the country's entire population. 80% of refugees in Jordan live outside the main camps in cities and towns. 75,000-85,000 refugees have been stuck along the Jordanian border since the government closed its borders to Syrian refugees in July 2016. Al-Jazeera reports that there is a severe lack of sanitation and running water. 95% of households on the border do not have access to enough food, and medical assistance is 'almost non-existent'. At Refugee Utility Project, we have partnered with Acting for Change Jordan to create permanent educational opportunities for children stuck in 'the Berm', as the border area is known. 1/3rd of school-aged children were not in formal schooling in Jordan as of August 2016. This is made even worse by the Jordanian government's decision to not allow children back into education if they have missed three years of schooling. 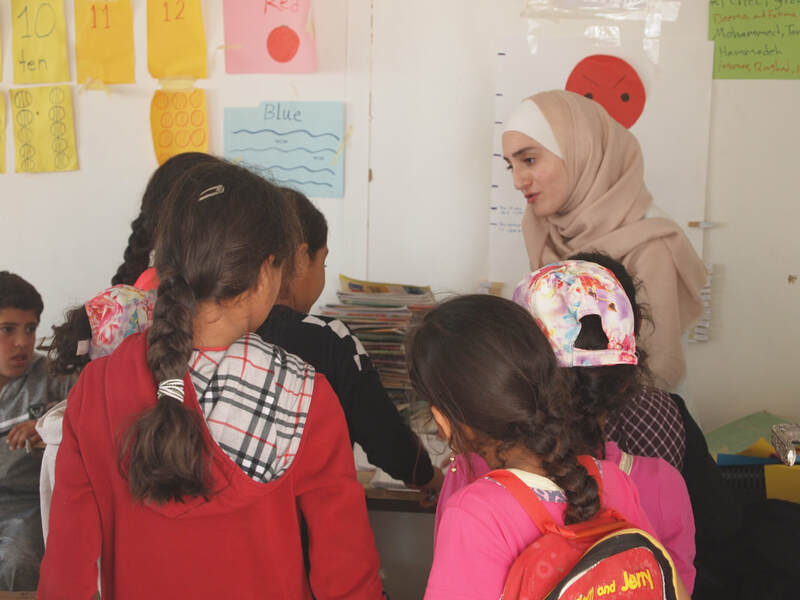 By working with local groups to establish informal educational opportunities, RUP hopes to bridge the knowledge gap for Syrian children who are not attending Jordanian schools. At the moment, an estimated 16,000 Syrian refugees live in informal tented settlements in Jordan. The UN believes that around 41% of the children in these camps have never been enrolled in formal schools in Syria or in their new host country, and that only 6% are attending formal schools. This problem is cited as one of the most urgent in relation to children's needs - instead of attending schools, up to 60% of children, especially boys, are sent to work. Large aid agencies have done incredible work in and outside camps, but frequently name reaching these refugees as one of their main challenges. Educating young Syrian children means increasing their quality of life, giving hope, and preventing radicalisation. Why, then, would we focus on informal schools as opposed to increasing access to formal education? Let's have a look at one informal tent camp in Mafraq that we have worked with for a while. In this camp in the desert, there are around 40 school-aged children. Of these, only two attend formal schools. When we asked why, their age was stated as the most important factor; only the oldest children are allowed to undertake the long journey to get to a Jordanian school. The adults in the camp do not feel it is safe to send their younger children. For us, it is important to make sure young children will be prepared to enter formal schooling at an older age. To prevent major gaps in knowledge and skills, we support local initiatives in informal tented settlements, so that children can get the opportunities they deserve. As we expand our efforts in this field, we hope to eventually get the informal schools certified, so that the teachers can get salaries, and the children will not fall behind. Refugee Utility Project has been invited to partner alongside Acting For Change Jordan, a local NGO led by Kotaiba, a Syrian refugee from Palmyra. We will support them in their mission to open the first school that is not in a tent on the Syrian side of the Rukban camp. The school's capacity will initially be around 130 children with 3 Syrian teachers. The building has already been purchased, and it is currently being fitted with a roof and proper floor. We believe, as does Acting For Change, that providing education in times of humanitarian crises is incredibly important to prevent children from becoming radicalised, as well as to provide them with a brighter future. We are incredibly proud to be part of this project and hope YOU will support us! So what is Rukban refugee camp? Between Jordan and Syria, along the northeastern border, lies a 'no-man's land' where around 75,000 Syrian refugees have been stranded since the Jordanian government closed its borders in June 2016. This is Rukban camp, also known as the berm, and it was supposed to be a temporary camp for refugees entering Jordan. After a car bombing in June 2016, the Jordanian border was closed, leading to a rapid expansion of the camp. In 2014 there were 368 shelters in the camp, but by the end of 2016 the number had increased to 8,295 (Amnesty International). Since the border closed, the refugees in the camp have been suffering in harsh conditions - no running water, lack of access to medical care, electricity, and food. This led to an outbreak of hepatitis A, with Syria:direct reporting that 18 children died from hepatitis-induced jaundice between June and December 2016. In addition to this, Al-Jazeera reports that the area has been bombed three times; the first time it was a car bombing in June, then another car bombing in October, and an IED (improvised explosive device) in December of last year. For several months, aid agencies were not allowed to send any aid, and UN staff are still not allowed to enter the area. More frequent aid is now allowed to be sent to the area. 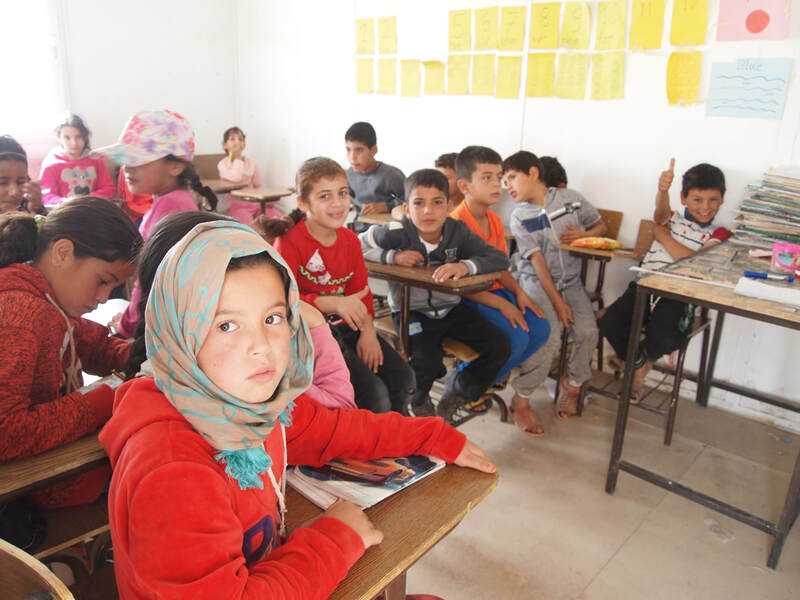 If you want to support our educational program in Rukban, please consider donating today. We are incredibly grateful for everyone's support! Thank you. ﻿Behind-the-scenes action shots and more.. If you want to see behind-the-scenes footage and pictures from our projects, you should follow Refugee Utility Project on Instagram! 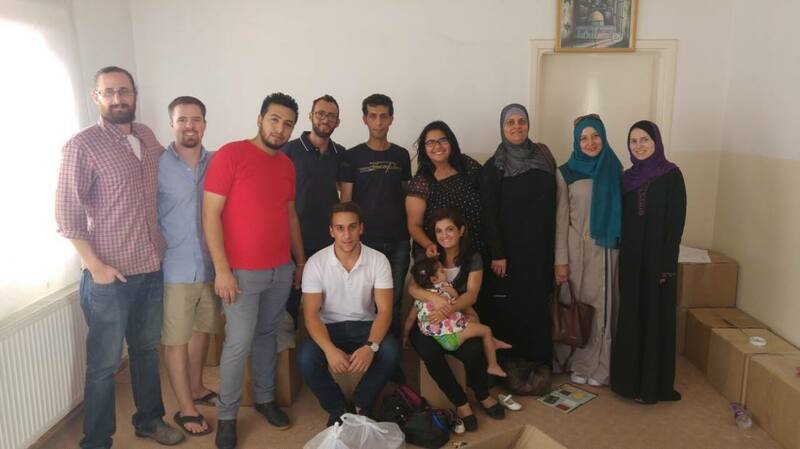 We regularly post updates from our work, information about the situation for Syrian and Iraqi refugees in Jordan, as well as post more informal pictures from our office and staging areas when we prepare for operations in the field. December has been an incredibly busy month here in Zarqa. 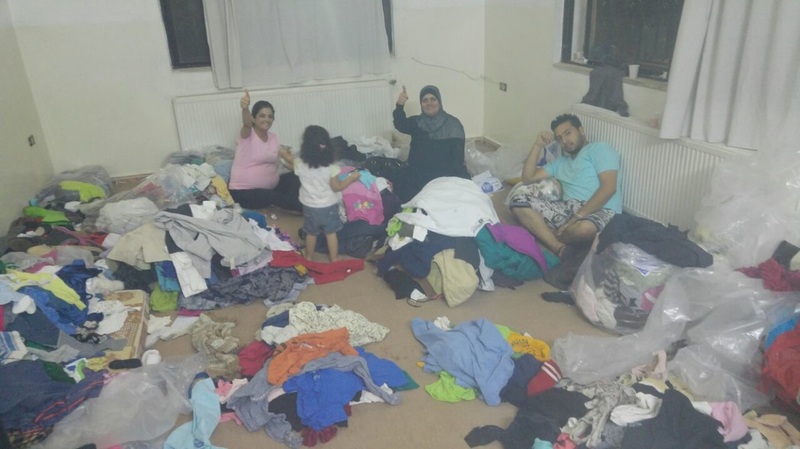 Thanks to the support you have shown us, we were able to provide warmth to over 100 Syrian refugees! We are so thankful to each and every one of you - you have made a real difference in the lives of these Syrian men, women, and children. 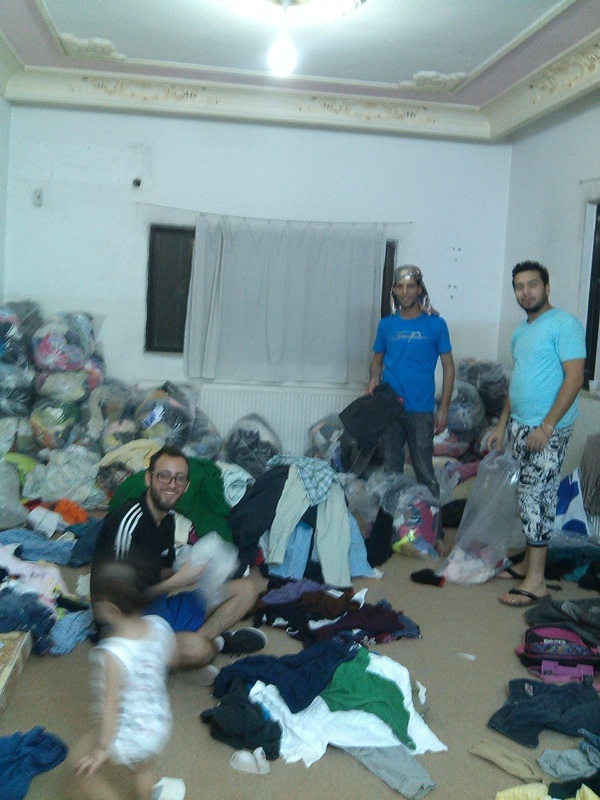 Most of the donations went to the ITS camp, where the need was extremely urgent. In the harsh climate and without adequate shelter, the children were in danger of serious illness. 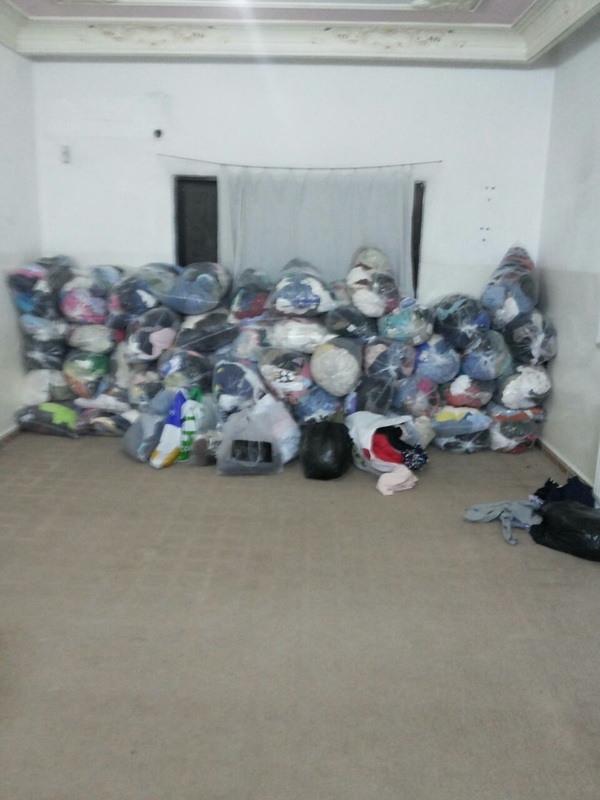 With your donations, we were able to distribute space heaters to the 20 families, 20 blankets, shoes and winter coats to the children, and sets of clothing for two newborn babies in the tent camp in Mafraq. We also distributed animal feed for the goats and chickens for another month. 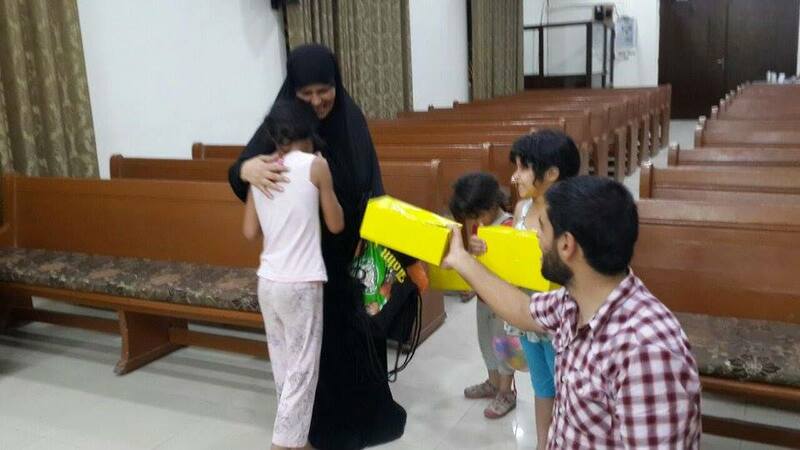 In addition to this, we also provided 16 families in urban settings in Zarqa and Mafraq with heaters and blankets. We hope these gifts will make the winter a little easier. Have a look at the pictures below to see the people we've been able to help this month! If you want to support our work in 2017, go to our 'get involved' page to see how you can help refugees in Jordan today. Our supply of wheelchairs from the Free Wheelchair Mission is dwindling. After this week's trip to the ITS (Informal Tented Settlement) in Mafraq, we have only three left of our stock of 35, which is incredible! Yesterday, RUP returned to this ITS in the Mafraq desert. This time we brought more animal food for their chicken and goats, and a wheelchair for a Syrian refugee. The inhabitants of this camp told us that it is getting dangerously cold at night. Without shoes, warm clothes, and heaters, they are worried about the health of their children. Have a look at the pictures to see the condition these 20 families are currently living in. If you want to support us provide warmth to them this Christmas, $50 will buy one gas heater, $35 will get them a warm double blanket, and $30 can get a child the essentials of winter clothing (shoes, jacket, hat, and mittens). The most current UNHCR statistics on Syrian refugees in Jordan report that some 20% live in established refugee camps like Za'atari and Azraq, while over 80% live in Jordanian cities. However, due to increasing costs of living, especially rent, some refugees establish what is known as Informal Tented Settlements (ITS) outside the cities. These settlements are highly vulnerable; they are not officially recognised by the Jordanian government, and can therefore be dismantled without due notice. Furthermore, refugees living in these conditions are often not eligible for education, healthcare, and basic services. The UN and REACH found that the number of ITS camps increased by 320.8% from 2014 to 2015, with an estimated 11,000 people living in them across the country. Some reports are stating that this year, the number is closer to 16,000 refugees. This week, we went to one of these camps in Mafraq, a city where around 50% of the population is now Syrian. This camp has 20 families from Syria who live together in a mix of tents and basic brick houses. While we were there, we distributed 20 boxes of a month's supply of food for each family, as well as two boxes of animal food for their livestock. The inhabitants of the ITS told us that their most pressing need at the moment is clothing and shoes for the children, as well as diapers and basic food supplies. Despite the difficulties they face, a former teacher who now lives in this settlement have started a school. All the children are now able to read and write, and attend school daily. 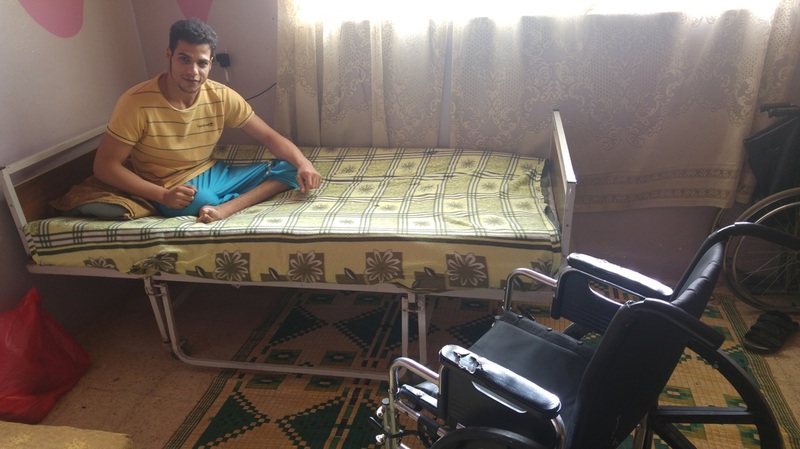 To help them, we are going back next week to provide one man with a wheelchair, and we will begin reaching out to the community here in Zarqa and Amman to organise a clothing drive. We also hope that through donations made to us for our Christmas Project, we can buy these people gas heaters to keep them safe and warm this winter. Visible disabilities can be a challenging subject to discuss in the Middle East. ​While traditionally the subject has been somewhat taboo, things are really changing over here. 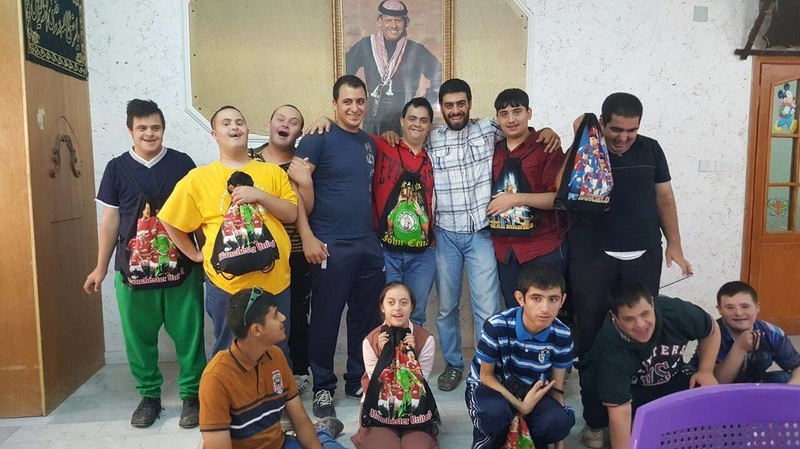 In fact, Prince Mired of the Hashemite dynasty in Jordan has publicly advocated for making disabilities more visible in society, so as to help these vulnerable people's lives. We feel honoured to be part of making this happen! The past month, RUP has been busy locating refugees who need wheelchairs and providing support to them. We have been lucky enough to distribute 23 of our 35 wheelchairs in the past four weeks, and are hoping to finish this first distribution by Christmas. The people who have received them have been a mix of Syrian and Palestinian refugees, as well as Jordanian people with disabilities. It's great to be able to help such a diverse group of people! The wheelchairs come in three sizes and can be assembled in about 20 minutes, and are from the Free Wheelchair Mission. Each wheelchair comes with tools and a pump for the wheels, so the owner can adjust it as they wish. 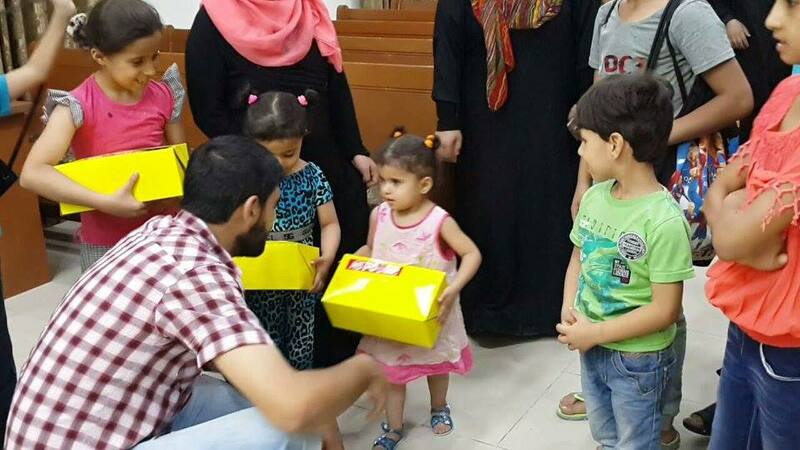 We sincerely hope these gifts can make life easier for them, and we have already spotted a few around town here in Zarqa, Jordan. We are really excited to announce that we received 35 wheelchairs today. Now we just have to figure out how to put them together! Luckily our partners in My Heart Gives can give us some help, and then we'll begin distributing them as soon as possible. The wheelchairs originate from the Free Wheelchair Mission. Thanks to your donations Refugee Utility Project was able to provide over 200 back to school kits for refugee children living outside the camp. Thank-you! We are pleased to announce that Refugee Utility Project now has an official office space in Zarqa! 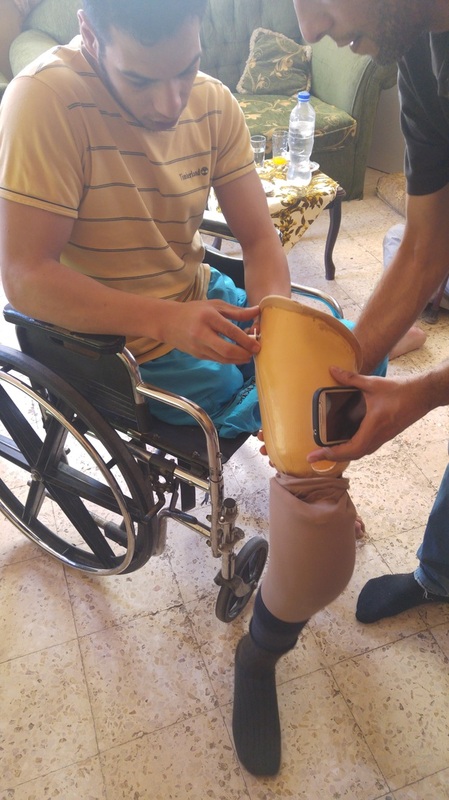 One of the ongoing issues with the Syrian crisis is loss of limbs due to airstrikes and fighting. Ongoing because the prosthetic limbs need to be periodically resized as time goes on. Thanks to your donations we are able to help in this process. 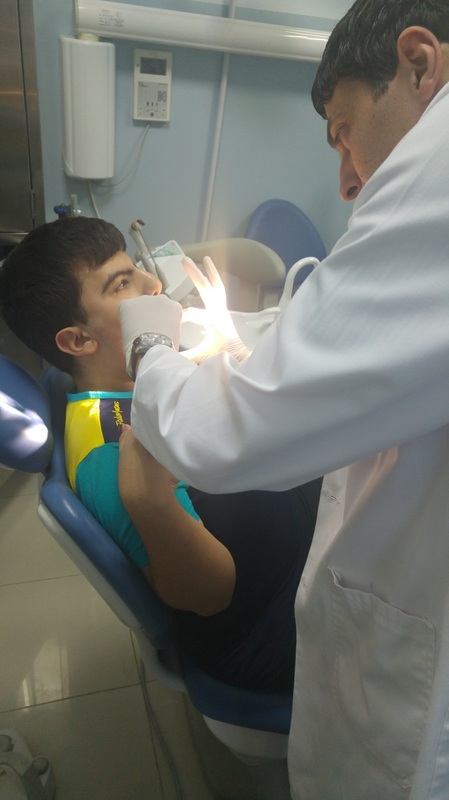 Thanks to your donations and charitable contributions of Dr. Firas Sameh Shakkour Refugee Utility Project was able to help provide dental care to those in need. Thanks to everyone who has contributed and volunteered to help make good things happen. Maybe we should just open our own retail store.